Sulfate-free, salt-free, and paraben-free, this color-safe shampoo gently cleanses hair while locking in color. Works well with keratin products. 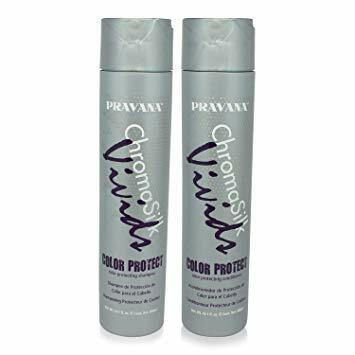 Enriched with gentle ingredients derived from natural coconut and palm kernel oils that cleanses and hydrates hair while ensuring long lasting protection of Pravana VIVIDS colors and other similar semi-permanent dyes. A lightweight, mildly fragranced powdered dry shampoo formulated by the most popular brand in alternative hair colors. Also provides UV protection. Paraben, SLS, sodium, and alcohol free. Gently shake onto hair and massage evenly throughout. Doing hair treatments once a week or every other week (on top of daily hair conditioning) helps keep hair soft and shiny, especially when your hair has gone through a lot of damage from chemical processes like bleaching, perming, styling, and coloring. ​It is safe to do hair treatments on colored hair! After shampoo and rinse, briefly towel dry hair until damp. Apply using your fingers (massage action) or using wide-toothed comb, and distribute the hair treatment throughout hair, working from from the roots through to ends. Wrap hair in damp towel or shower cap. May help to apply heat to aid absorption. Wait 3-5 minutes. But it's okay to leave treatment in hair as long as you can (whether overnight or the whole day). This allows the treatment to penetrate deeper in hair and do its magic! Rinse hair thoroughly with cool water. Dry and style as desired. Proudly PH-made, all-natural, animal cruelty-free product that's good for the you and the environment! Natural way of putting back lost moisture and softness into damaged and dry hair! An intense treatment that penetrates deep inside hair to strengthen and restore elasticity, smoothness, and shine. After shampoo and rinse, apply a generous amount of Restorative Hair Mask and let it penetrate for 7-10 minutes. Then, rinse it out. Does not require heat. Recommended for use a few days before chemical processing (e.g. bleaching) to strengthen and prep hair. Professional treatment for seriously damaged or extremely dry, brittle hair. 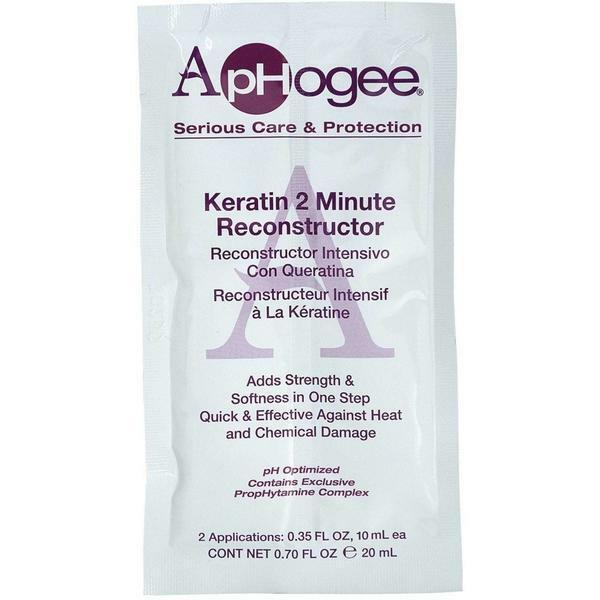 Stops hair breakage and rebuilds hair structure for six weeks. This is a professional product so READ THE INSTRUCTIONS CAREFULLY and FOLLOW THEM. NO SHORTCUTS! After shampoo and rinse, towel dry until damp. Shake pack and apply step-1. Distribute product and saturate hair (using comb or fingers). Do not cover hair. Let air-dry until hair hardens. When possible, apply heat (may blow-dry but do not touch or move hair). When hard, do not touch or snap hair. Soften hair with warm water, and then rinse off completely. Apply step-2 next. Massage product into hair like hair conditioner. Let set then rinse. Dry and style as desired. 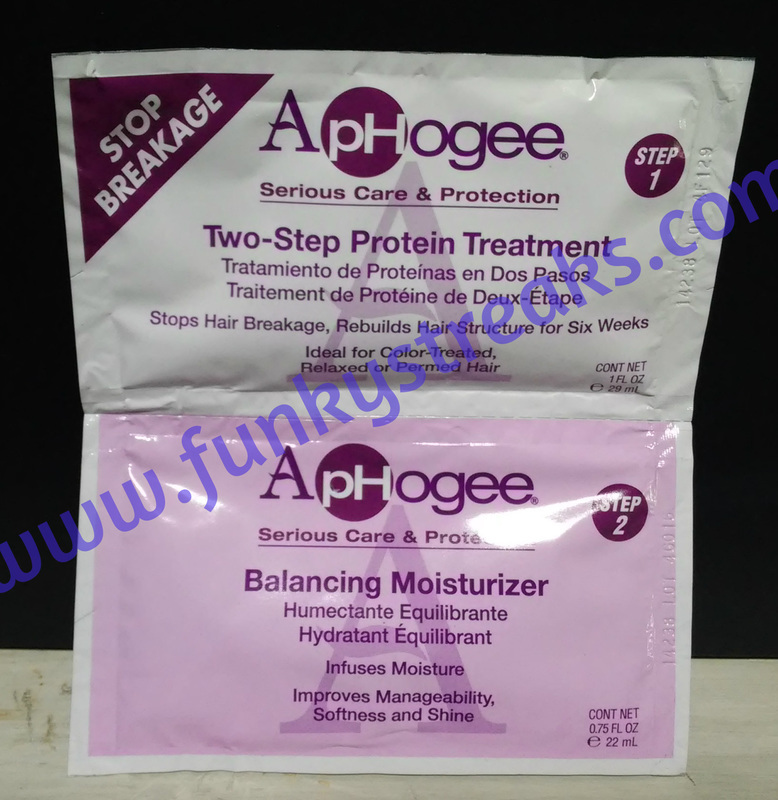 Easy-to-use but powerful hair treatment for hair damaged by chemical processes like bleaching and rebonding. Soothes scalp and helps repair minor hair damage. After shampoo and rinse, towel dry until damp. Squeeze product out and apply on hair. 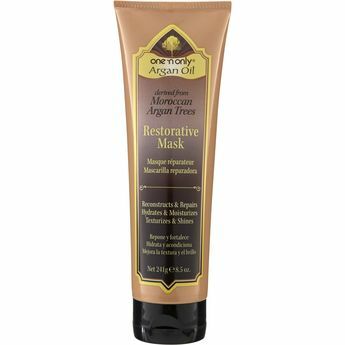 Using your fingertips or a comb, distribute the reconstructor cream throughout hair in soothing, massaging motions as you would like regular hair conditioner. Cover with a damp towel or shower cap for 2 to 5 minutes (longer setting time is better for badly damaged hair). Rinse, dry, and style as desired. Home-use treatment used as hair maintenance after going through a full Olaplex service at the salon. Application is slightly different from regular home-use hair treatments. After shampoo and rinse, towel dry until damp. Squeeze the Olaplex product out and apply on hair. Using your fingertips or a comb, distribute the cream throughout hair in soothing, massaging motions as you would like regular hair conditioner. Let the cream set in for 10 minutes minimum (but longer setting time is better for deeper saturation of the product into hair). Shampoo again, condition, rinse, and dry. Style as desired. Can also be applied on dry hair, but you may have to use more product to properly saturate hair.